Alvester Windell Grandberry (Duke) was born October 10, 1053 in Tipton County, TN to the late James and Martha Bee Grandberry. God called His son to a better place on Friday, March 29, 2019. Alvester attended George R. Ellis High School in Munford, TN and graduated in 1972. He accepted Christ at an early age at St. John’s Missionary Baptist Church under the leadership of Rev. Flowers. He then relocated to New Brunswick, NJ where he became an active member of Antioch Christian Church, New Brunswick, NJ under the leadership of the late Pastor Spencer. He worked at Rutgers University and Robert Wood Johnson Hospital in New Brunswick, NJ. Alvester was preceded in death by his sister Dorothy Wilcox and his brothers, Sam Grandberry, Joe Lewis Dowell and Willie Earl Grandberry. 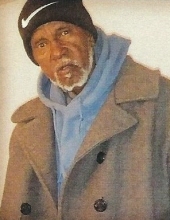 He leaves to mourn: his lifelong companion, Sharon Sumner of North Brunswick, NJ; his four children, Shameka Grandberry of Sayreville, NJ, Catina Fleming of Fleming, TN, Shadawn Sumner of South Plainfield, NJ, and Watson Darron (Tamika) Sumner of Willingboro, NJ; 11 grandchildren and two great grandchildren; three brothers, James Jr. of Grenta, FL, Cornell (Jewelle) Grandberry of Atoka, TN and Sylvester (Lisa) Grandberry of Covington, TN; two sisters, Mildred (I.D.) McMillan of Midway, FL and Mary Lou (Gary) Hartgrove of Plainsboro, NJ; his sisters in-law, Addie B. Dowell of Mason, TN, Willie Faye Grandberry of Memphis, TN; his aunts, Lillie Jones, Mary Grandberry and Mable Grandberry of Willingboro NJ; his uncle, Leon Grandberry of New Brunswick, NJ; a very special friends Lavelle Aultman, III and a host of other family and friends. This Online Memorial has been created to commemorate the life of Alvester Windell Grandberry. Leave a message on the Tribute Wall to share your favorite memories and offer words of sympathy and comfort. To send flowers or a remembrance gift to the family of Alvester Windell Grandberry (Duke), please visit our Tribute Store. "Email Address" would like to share the life celebration of Alvester Windell Grandberry (Duke). Click on the "link" to go to share a favorite memory or leave a condolence message for the family.